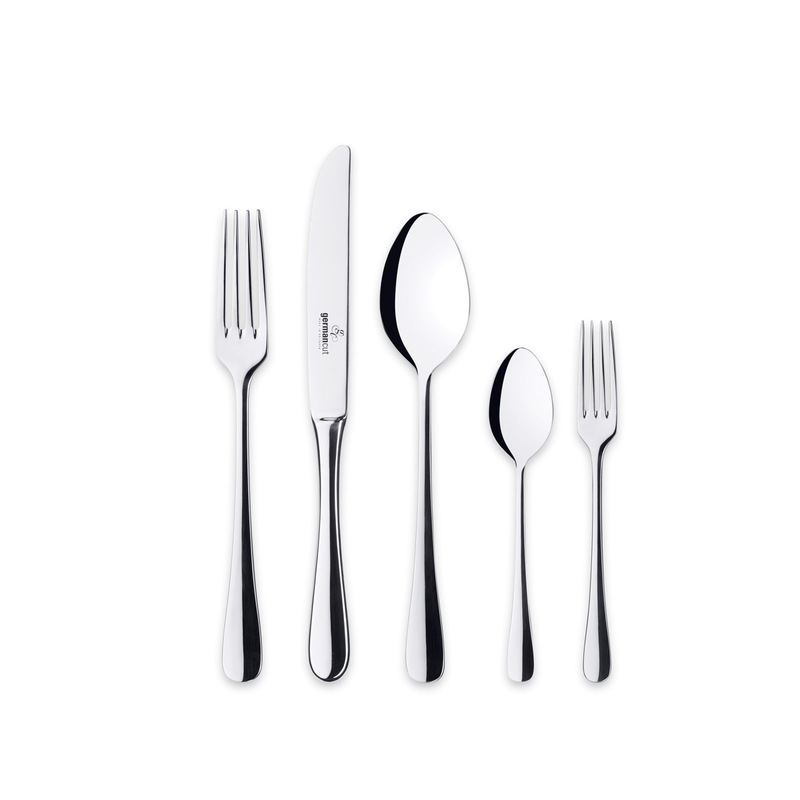 The subtle, rounded tear shape of the T. STORM cutlery set makes a particularly elegant impression and also helps ensure extremely conformable handling. 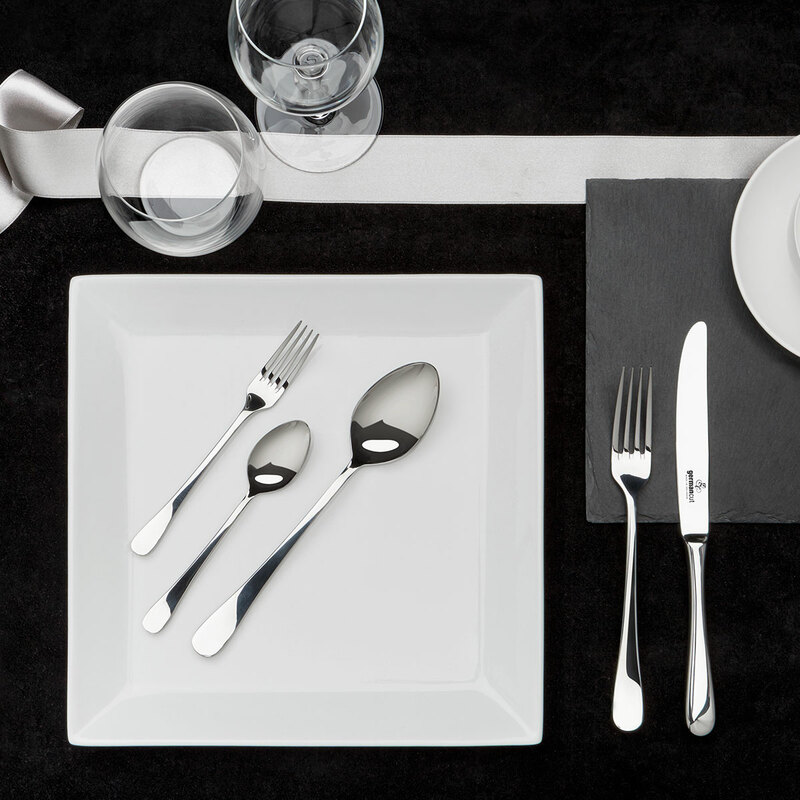 Whether they’re classically combined with elegant crystal glasses and white china or with tasteful ceramic tableware in muted natural shades: The T. STORM cutlery blends harmoniously into any table decoration. 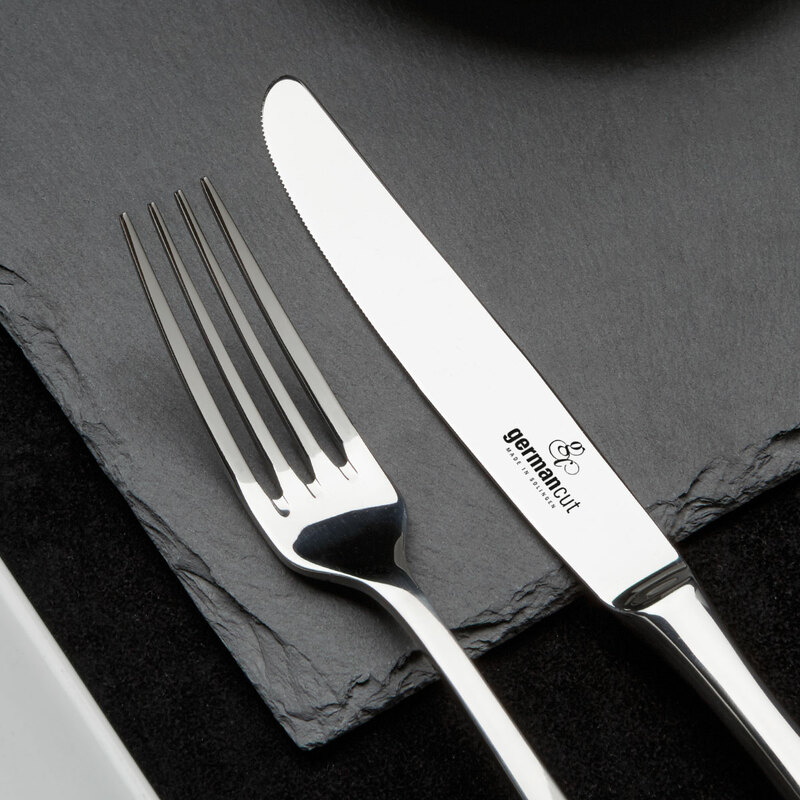 As all our cutlery is made exclusively from high-quality 18/10 stainless steel, it is resistant to corrosion and acids. With the sophisticated method used to produce our hollow-handled knives, the handle and blade are made separately and then the blade is inserted into the hollow handle for perfect balance. The blade’s special steel guarantees that it will remain sharp for a very long time and cut superbly. 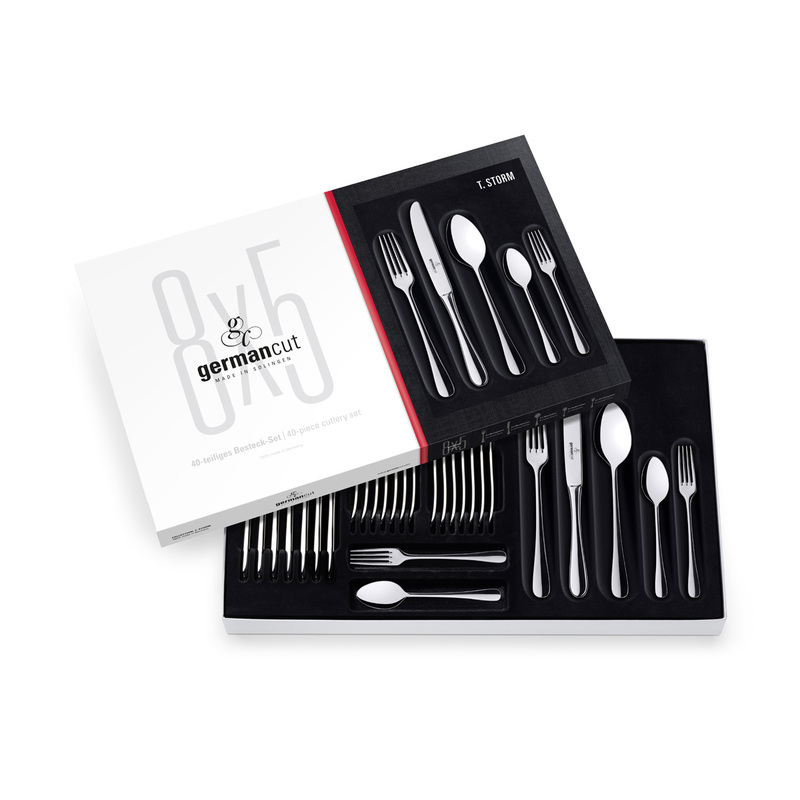 All cutlery sets are suitable for the dishwasher (55° C). Cleaning by hand is gentler, especially for knives.